Assistance is recommended for individuals with Parkinson's, arthritis or unsteady hands. Application. 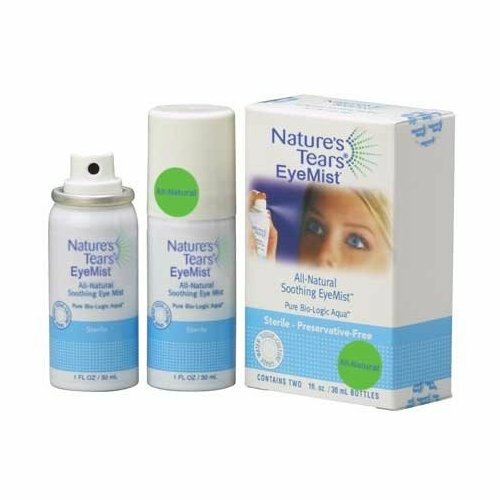 Eye mist/eye spray for dry eye is applied with a sweep in front of the face, without an eyedropper. There is no head-tilting, no eyelid lifting, no blurred vision and no disorientation. The mist is quickly and easily applied and safe for all ages to apply unsupervised. Often you don't even need to stop what you're doing - eye mist can be applied while driving a car, walking or riding a bicycle. Shelf life. Read the label carefully to determine if there is a "sell-by" date or a "discard after" date. Shelf life. Eye mist has a four year shelf-life. This education is sponsored by Bio-Logic Aqua Research as part of a proactive daily program for good health. If you have questions or wish to learn more, visit us at www.biologicaquaresearch.com..